Wide aperture mode makes your subjects stand out by keeping the foreground in focus while blurring the background. Open Camera and select the rear camera. Touch the icon at the top of the screen to enable Wide aperture mode. 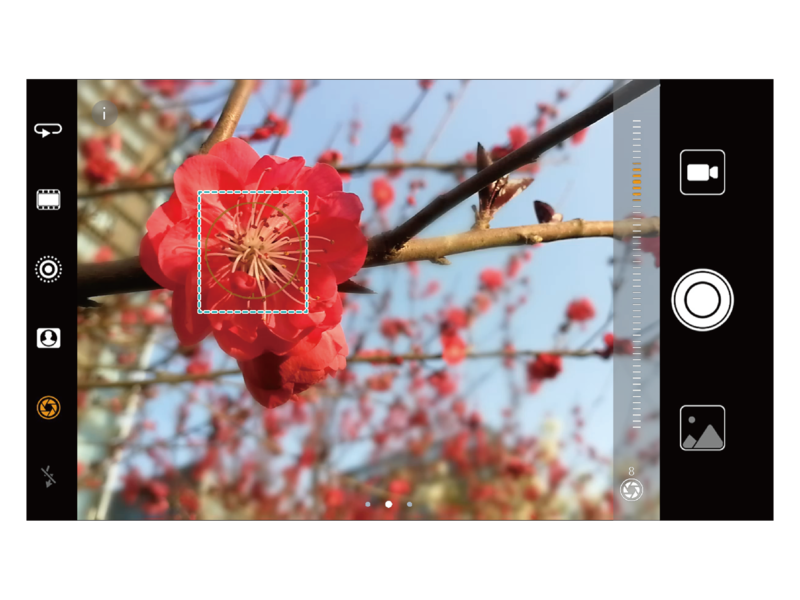 While shooting, touch the screen to select a focal point, and then touch to capture the photo. Touch and swipe left or right on the slider to adjust the aperture level. The lower the aperture level, the greater the background blur. For optimal results, ensure that the subject is positioned no further than 2m (6 ft) from the camera.